How are those New Years resolutions going? If “cook more”, “entertain more” or “enjoy more marvelous wine” were any of your resolutions we’ve got you covered! Check out the upcoming courses that Marguerite’s Elegant Cooking and Paris Eastside have to offer! Class discount specials for the Seattle Uncorked members on “French Wine and Cheese paring’s”, “French Desserts and their Wines”, and “A French three course dinner with French wines”. What a line up! 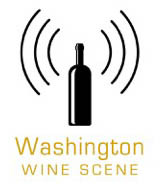 Reserve your spot with the Seattle Uncorked discount code and read more about these classes HERE. One word, closely guarded and quietly whispered. The key to a hidden, exclusive room. Through the door lies another world. A world filled with lovely ladies and outlawed libations. Top shelf drinks, even more appealing now that they’re outlawed, card tables and live music enjoyed through the smoke of freshly lit cigars. A world of fringe, pearls, suits and excitement. This, my flappers and gents, is the world of a speakeasy. If you haven’t yet heard of Aston Manor , you best read on! This prohibition style speakeasy is the newest thing to hit our fair city and to celebrate they’er throwing a gala. Not just any gala, mind you. No. This is a Gatsby Gala. Dig out those pearls and brush off those top hats because this is a party you won’t want to miss. To enter, simply leave your response to our Gatsby Gala question below in a comment on this blog post. Drawing for the pair of General Admission tickets will be held on May 1st and winners will be notified via e-mail (that you use to leave a comment on this site). Leave your response below to enter!